Petersen International Term Life Insurance is one or most popular international term life cover for our clients residing outside the U.S. for more than a year, https://www.gninsurance.com/petersen-international-term-life-insurance-residing-outside-u-s/. 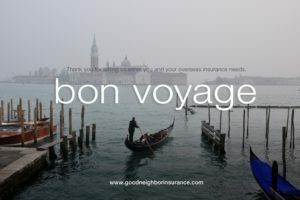 Good Neighbor Insurance has provided this great international benefit to our clients for over 10 years now. Our clients have great questions pertaining to this term life benefit plan. Here are some of those answers below from our underwriters. Answer: Yes, once their policy is active, they can move back to the U.S. after 4 months. Their intent counts for their policy to stay active. Once the policy is issued, underwriters cannot cancel the coverage since the policy covers them worldwide including the U.S.
Answer: The International Term Life policy provides worldwide coverage. So if a client is written living in Dubai and then moves to South Sudan, he is still covered in South Sudan during the policy term because the coverage is worldwide. Answer: Regarding term length, we will issue most policies according to the time the client plans on living in a certain country up to 10 years. If a client is on a 3 year employment contract in China, we will only offer up to a 3 year term. Some special countries allow for a 10 year term no matter the plans of the insured. Most of the special countries are in Europe and the Caribbean. Answer: Lastly, the maximum amount of time the client can be in the U.S. and still be covered is the rest of the term length of the client’s current policy. There is no max to the U.S. exposure once the policy is issued since it provides worldwide coverage. But to initially purchase a policy, the client must live outside the U.S. more than 6 months per year. Attached is the list of approved countries for which we can write term life insurance on clients with addresses in those countries. A UK citizen who retains a UK address but is currently living in the US; we would use the UK address. Call one of our international insurance agents here at Good Neighbor Insurance and they will be glad to help. Most of our team members have traveled and / or lived overseas for a few years. The founder and co-owner of Good Neighbor Insurance lived overseas in Indonesia for 32 years. His son, who is the co-owner with his Dad, was born and raised overseas in Indonesia for 19 years. If there is anything we can do to provide you peace of mind, to help erase any anxiety of investing in an international term life insurance plan please call one of our trusted international insurance agents at our toll free number, 866-636-9100, or our local number here in Arizona at 480-633-9500. Or you may email us here at info@gninsurance.com.